Las Vegas is a modern city, but you can still find plenty of that Old Vegas charm if you know where to look. Modern Las Vegas may be packed with digital billboards and LEDs, but it hasn’t forgotten its old Vegas glitter-and-neon roots. As casinos continue to shift towards computer-based gaming, automation, and corporate-style uniformity, it’s easy to miss the charm of vintage Las Vegas. Fortunately, classic Vegas isn’t completely gone. You can still find vintage Vegas in the modern city…if you know where to look. 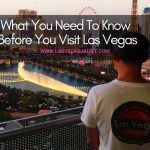 The first time this blogger ever set foot in a Las Vegas casino, the metallic smell and tinkling sound of coins was everywhere. Then, in short order, this blogger was escorted out, since she was 7 years old at the time and not legally allowed to be there. It’s been a while, but the vivid impression remains. Coins are loud, cumbersome, and dirty, which is why coin-operated machines have disappeared from most casinos. Then again, gambling with actual coins has a certain charm and visceral appeal that some people feel is missing from modern, computer-based machines. 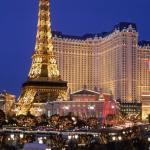 All of these casinos that offer coin-operated machines are located downtown, which is sometimes called “Old Vegas,” because Las Vegas was built around Fremont Street. Fun fact: In 1925, Fremont Street became the first paved street in Las Vegas, and it later saw the construction of Vegas’s first traffic light in 1931. 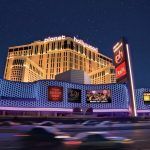 Fremont is as old as the actual city of Las Vegas, and until the early 1990s, the iconic image of Las Vegas was Fremont Street – not the strip. Photo of Hugo’s Cellar tableside salad bar provided courtesy of VitalVegas.com. 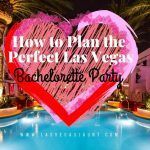 Las Vegas is a city that embraces many kinds of love, but vintage Vegas knew a thing or two about romance. If you want to capture that old Vegas romance today, you should go to Hugo’s Cellar. Located in what looks a bit like a basement at Four Queens, Hugo’s Cellar is the restaurant you choose when you absolutely, positively must woo somebody. As soon as you walk down the stairs and arrive at the host stand, it’s like you’ve left the real world and strolled into an alternate universe made of romance, sophistication, and calories. Each lady is presented with a long-stemmed red rose before being seated, which is kept in a vase on your table while you eat and carefully wrapped before you leave. Then, after your grand entry, the meal itself is pure Vegas delight. Hugo’s Cellar assigns 2 servers to each table. You get a visit from their charming sommelier, and your service team practically oozes vintage Vegas charm as they prepare tableside salads, deliver course after course of incredible cuisine, and serve up showstopping desserts like bananas foster, which they flambe right at your table. If you go to Hugo’s Cellar on a first date, be prepared to fall in love. It will do that to you. Las Vegas used to be a neon landscape, but drive down the Strip now and you’ll see more LEDs and video screens than iconic Vegas neon. Luckily, there’s still Fremont Street Experience. Packed with historic and iconic casinos, FSE is still a neon wonderland. FSE’s Viva Vision screen creates a sort of electric sky, under which visitors get a chance to see some real vintage Vegas glitter. There are quite a few famous neon signs that no longer light up the Vegas skyline, though, and for those, there’s the Neon Museum. The two-acre Neon Boneyard is the permanent resting place of historic neon signs from such old Vegas fixtures as the Stardust, the Binion’s Horseshoe, and Lady Luck. In total, there are more than 260 neon signs at the Neon Museum, each one preserving a bit of Vegas history. Fremont may be Vegas’s version of a historic district, but for some of Vegas’s most interesting history, you should read about the Flamingo. The Flamingo is the casino that essentially created the strip. Developed by infamous gangster Bugsy Siegel, the Flamingo was opened in 1946, a year after Bugsy bought the El Cortez on Fremont and had trouble expanding it due to pressure from city officials. 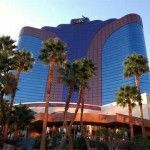 Rather than continuing to battle with the City of Las Vegas over his casino expansion plans, he chose a location that was outside of city limits, and thus, the Flamingo became the first luxury hotel on what would eventually become the Las Vegas Strip. When it was built, the Presidential Suite included a hidden ladder that led to an underground garage in case Bugsy needed to make a quick escape. This might have had something to do with him skimming money out of the building budget, which is reportedly why there were financial problems when the hotel opened. The mob ties didn’t end with Bugsy Siegel. In 1960, the remodeled Flamingo was purchased for $10.5 million by a group that had ties to organized crime in Miami, but they only owned the property for 7 years. Today, the Flamingo is part of Caesars Entertainment’s family of hotels. For good or ill, organized crime is a big part of Las Vegas history. The mob built Vegas, and more specifically, the strip. Casinos like Sands, Riviera, Sahara, Tropicana, and Stardust were all financed, built, and operated by mobsters. Las Vegas mob history is a fascinating study, and you can get a glimpse at the city’s mobster roots at the Mob Museum downtown. The National Museum of Organized Crime and Law Enforcement – or, you know, the Mob Museum – is one of the underappreciated gems of Downtown Las Vegas. See a ticket from the 1919 World Series, a game that was notoriously fixed by crime boss Arnold Rothstein. Listen to actual wiretap recordings from some of the major cases that brought down prominent family heads and Teamsters. You can even take virtual weapons training. With 3 floors of exhibits and artifacts, you’ll learn more about organized crime in Vegas than you ever wanted to know, and you’ll be fascinated in the process. 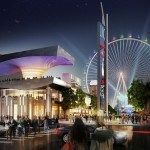 How do you reconnect with Old Vegas? Tell us in the comments!